I’ve been a huge fan of shading lately. 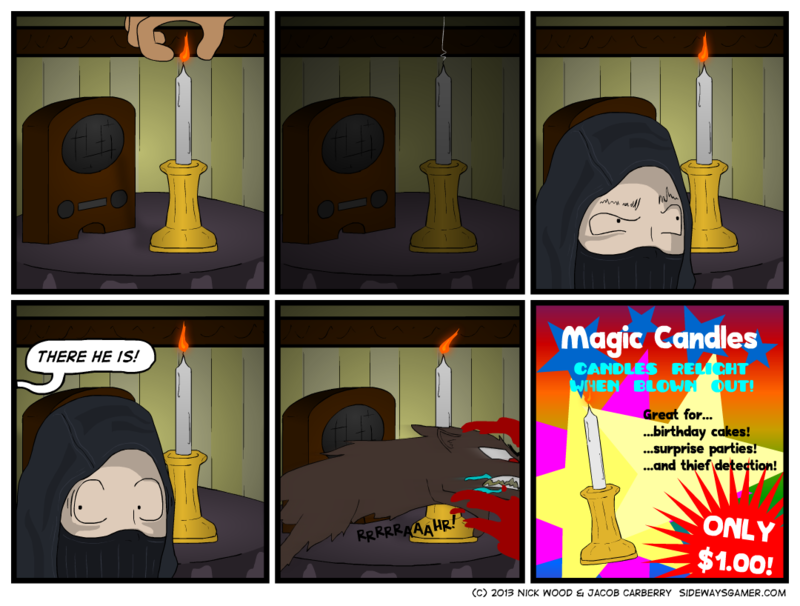 So Jacob tells me he wants to make a comic about a candle? I pulled out all the stops. Literally. Someone almost died on my street because the car didn’t know to stop. Work it. Look at that shadow on the radio. The shadows on his face. Humanity’s safety can wait.